The Fort Lauderdale International Boat Show is coming up and it draws hundreds of thousands of people to Fort Lauderdale to view the incredible vessels from yachts to speed boats. It is the largest boat show in the world and for good reason. Fort Lauderdale is called the Venice of America for the fact of its’ intricate canals and islands, however it also is the yachting capital of the United States due to its’ proximity to the Caribbean and the Bahamas with deep water access in minutes. Events are all over Fort Lauderdale for the boat show from tents to marinas, and one of the best ways to get from venue to venue is by water taxi. 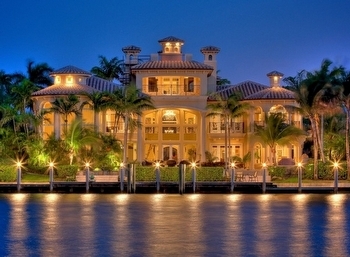 One of the areas you will likely be passing is one of the most exclusive islands in Fort Lauderdale, Harborage. Harborage Isle Homes are in Southeast Fort Lauderdale in the Fort Lauderdale Beach area and it is a gated and strictly guarded communities. There are only 18 homes total in this neighborhood and all are deep water and waterfront homes. It is located within the community of Harbor Beach, which proximately located to all the shopping, dining, and excitement Fort Lauderdale has to offer. Residents are hard pressed to leave the island and currently there is only one estate for sale and it is listed at $32 million. If you are interested in learning more about other homes in Harbor Beach or this home, contact me today! Below is the schedule for the Boat show, Enjoy! Box Office Tickets (cash only) and ATM are available at the following locations on the days of the show: Bahia Mar Yachting Center, Las Olas Marina, Swimming Hall Of Fame (Coconuts entrance), Broward County Convention Center. There are no ticket sales The Sails and the Fort Lauderdale Hilton Marina.